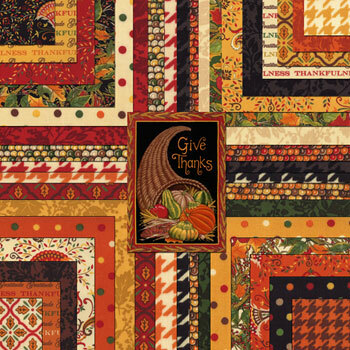 Give Thanks Jelly Roll Deb Strain by Moda. 40 2 1/2" x wof strips. Photo is representation of assortment.